EghtesadOnline: New data show property deals in Iran are on a downward trajectory, suggesting that the housing sector may be facing another bout of recession. Preliminary figures extracted from the state-run Tenement Management Information System operated by the Ministry of Roads and Urban Development show a 20% year-on-year decline in the number of home deals across the country during the sixth month of the current fiscal year (Aug. 23-Sept. 22). 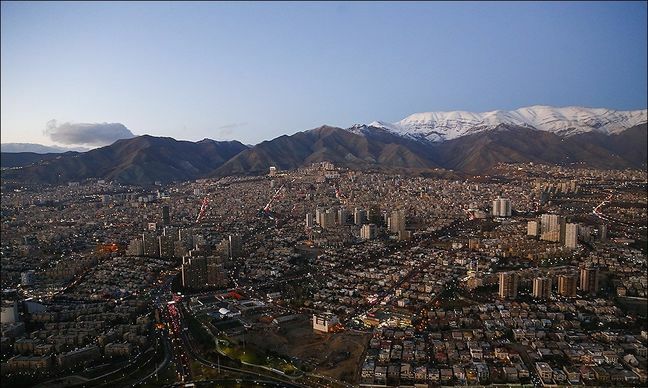 Data for capital city Tehran, which usually accounts for one-third to half of all home deals across the country, show that only 7,538 deals were made during the sixth month, signaling a steep annual decrease of 45%. Official reports released earlier by the Central Bank of Iran on Tehran's housing market showed that the number of home deals in the capital city had steadily declined during the third to fifth months of the current year as well, while prices surged, according to Financial Tribune. The monetary regulator's reports showed that the total number of home deals decreased by 7.3% while average home prices jumped by 45.5% in Tehran from a five-month perspective. However, home deals across Iran had not registered a significant decline in the past few months. In fact, many provincial centers and especially small cities with populations of under 200,000 had shown upticks in home deals coupled with minimal price hikes. Iran's housing sector exited its longest period of recession in recent memory lasting for more than five years just about nine months ago. The new data indicate the recession is on its way back. The main reason behind the downturn is widely considered to be volatility in the foreign currency market, which has been chiefly spurred by the reimposition of US sanctions after US President Donald Trump unilaterally withdrew from the international nuclear deal with Iran. The rial has lost more than two-thirds of its value in recent months, starting massive price hikes that have rocked various markets, including the housing market. Last week, the Persian economic daily Donya-e-Eqtesad spoke to 30 prominent housing experts on the prospects of housing sector during the second half of the year. A majority of the pundits expect the number of home deals to continue to decline as prices keep rising. Some 60% of the experts expect the housing market in the second half to be "semi-recessive" while 17% refer to it as "unpredictable". Half of all the respondents said "economic plans and the political landscape" will have the biggest role in the immediate future of the embattled housing market, which shows many are still hoping for improvements on a macroeconomic scale and a more stable future. The experts were unanimous in that the market will continue to experience price hikes, albeit at a slower pace. Yet, they believe a full recovery and return to a boom phase will be extremely unlikely, even if all uncertainties are cleared, purchasing power is boosted and volatilities in parallel markets are tamed. In order to combat the fast dwindling purchasing power of the general public in the housing market, the government is planning to strengthen its support initiatives. As the CEO of Bank Maskan, the state-run agent bank of Iran's housing sector, announced on Sept. 4, the lender is considering the possibility of increasing the ceiling of home loans while reducing their interest rates to boost the purchasing power. "Proposals have been made [to the government], which we hope will be reviewed and acted on so they can compensate for a portion of recent price changes," Abolqasem Rahimi Anaraki said.